This section of the website is dedicated to our work on Numeracy. Numeracy is a vital skill that is important in everyday life. It is about being confident when solving problems, making decisions and analysing situations that involve numbers. Numeracy is key to lifelong learning. 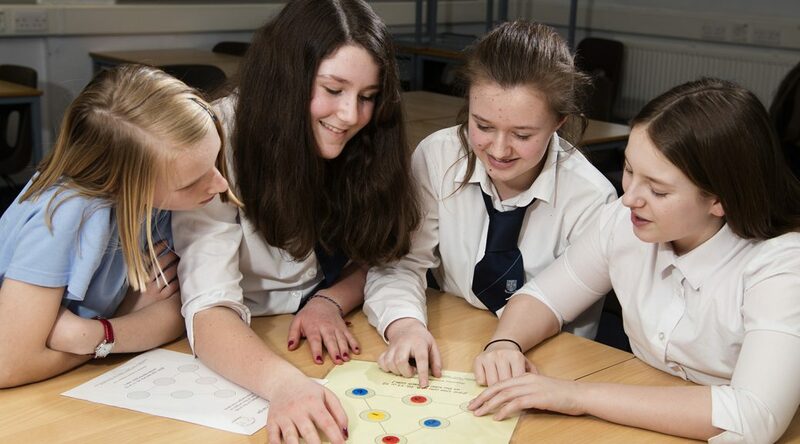 Like all schools and educational establishments, Musselburgh Grammar Schools needs to have strategies in place to ensure that children and young people develop high levels of numeracy skills. In working together to promote numeracy across all areas of the curriculum we aim to ensure that all teachers will develop a shared understanding of how children and young people progress in numeracy. In this regard, Mr Goodall, our Principal Teacher of Numeracy, and the Mathematics Department are working with colleagues from other curricular areas, to help identify opportunities for developing and reinforcing numeracy skills within the learning and teaching experiences of each learner. In numeracy, children and young people will learn through active learning. • collaborating and learning independently. Children are learning all the time through what they see, hear and do. Parents are the first teachers in their child’s learning, and have a key role to play in developing skills as children move through their education. They can do this, for example by finding opportunities to practice numeracy skills and by listening and providing feedback as children explain their thinking. Numeracy Units are available from SQA to support the development of numeracy skills, helping to raise overall standards. Units provide learners with recognition of their ability to work with numbers and money, to calculate, to measure, to handle graphical information and to make decisions that are relevant for learning, life and work. These Units form part of the courses in Maths at National 3 Lifeskills and National 4 and Lifeskills Maths courses at National 4 and National 5. They will also be available as free-standing Units for all learners at Scottish Credit and Qualifications Framework (SCQF) levels 3, 4 and 5. Numeracy skills will are embedded in National 5 Maths courses.